Don't miss Argentine Latin grammy award nominee Luciano Pereyra playing for the first time in New York city. 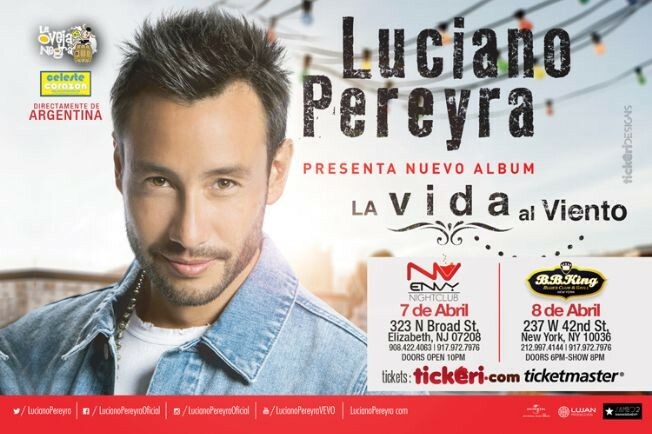 La Oveja Negra Productions and BBKings are more than proud to bring to NY Luciano Pereyra. After selling out numerous consecutive nights at Buenos Aires' prestigious Gran Rex and being nominated for MEJOR ALBUM VOCAL POP CONTEMPORANEO at the 2016 Latin Grammys Luciano will play an intimate show with full band covering all his hits and also covering songs from his current album "La vida al viento" something not to be missed! !